Ima Nanji Desu Ka? That's "what time is it?" in Japanese! This course will teach you how to tell the time in Japanese and guide you through the most important Japanese vocabulary related to time, including the months of the year, days, hours, and minutes. You will also discover more Hiragana and Kanji characters, study the object of a sentence, learn the Japanese demonstratives, verbs, and particles, and understand the correct usage of "arimasu". First, the course will teach you some new Hiragana and Kanji characters. You will learn how to write phone numbers and dates in Japanese and study the demonstratives and verbs that make up phrases such as "I am going to Tokyo tomorrow." The course will also teach you different Japanese verbs and how to use them in coordination with statements related to time. You will also study some really common Japanese expressions. Next, you will learn about time duration in Japanese and the correct use of the word "kan". You will learn how to identify the object of a sentence and the use of the particle "de". The course will then teach you how to describe a location and use phrases such as "the post office is over there." You will also study the months of the year as well as learn how to count small objects using the word "arimasu". 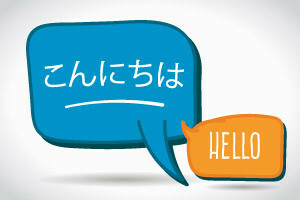 This course is the third in a series of four courses that Alison offers on Japanese languages. Prior to beginning this course, you should have completed the Introduction to Japanese Scripts and the Introduction to Japanese Phrases courses so you can easily make your way through these lessons. By the time you have completed this course, your Japanese skills will have improved by leaps and bounds. So why wait? Boost your Japaneses language skills today, for free! Identify the Japanese words that describe half and quarter hours. List the Japanese words for the hours of the day, days of the week, and months of the year. Describe the Japanese method of counting floors in a building and small objects, and list the words for such. Identify the meanings of various Kanji characters. Describe the meaning of the verbs "ni" and “arimasu” and how they are used. Describe when and how the particles "o" and “de” are used. Match the meanings of Japanese vocabulary to their English equivalent.